AFTER HIS HIGH COURT TESTIMONY, WHICH WAY FOR DERIPASKA NOW? Oleg Deripaska has made his debut in the witness-box of the UK High Court, testifying for almost three hours on Friday afternoon, after being called as a witness by Roman Abramovich against the claims of Boris Berezovsky. So precise and painstaking were Deripaska’s responses to some of the questions asked by the High Court Justice Dame Elizabeth Gloster and Laurence Rabinowitz, counsel for Berezovsky, that the near-total collapse of another of Deripaska’s cognitive functions, his memory, stunned the courtroom in London. At one point, the presiding judge told Rabinowitz that she permitted him to continue a line of questioning to probe Deripaska’s claim for forgetfulness after Rabinowitz said he had done as much as he could. Deripaska’s problem started at the outset of his testimony when he was asked whether he had had a conversation with Vasily Anisimov, the owner of aluminium and alumina plants in the northwest of Russia and a stake in the Krasnoyarsk smelter, which later became part of United Company Rusal. Anisimov has testified to their conversation in 1999. “I have no recollection of that”, Deripaska responded. Deripaska’s recall improved for the period a month later, on March 4 and 5, 2000, when he said he met with Abramovich, his advisor Eugene Shvidler, and his own advisor Alexander Bulygin, the chief executive of the Siberian Aluminium (Sibal), then the only asset Deripaska claimed in the Russian aluminium business. Deripaska corrected his questioner for not referring to the Baltschug Kempinski Hotel by its full name; he also corrected the lawyer for referring to a single negotiating session, when in fact, he said, there had been two separate ones – one at the downtown hotel, and one later the next day at Abramovich’s dacha in the Moscow suburbs. Rabinowitz then asked Deripaska whether he meant that they were signatories for an agreement for sale and purchase of the assets. Deripaska refused to answer at first. The cross-examination went on to ask what Deripaska remembered about the deal he and Abramovich reached two years later, in September 2003. That was when Deripaska agreed to buy Abramovich’s stake in Rusal for just over $2 billion in two stages over twelve months. This is what the High Court has already been told about this transaction in earlier testimony from Abramovich. The cross-examination turned back to the meeting Deripaska had had on March 13, 2000, at the Dorchester Hotel in London with Berezovsky, Badri Patarkatsishvili, and Abramovich. What had led Deripaska to fly to London for that meeting, on a few hours’ notice at Abramovich’s request, when he had been in London just days earlier, is the focus of Berezovsky’s case; this is because the latter is claiming that he and Patarkatsishvili insisted their claim to a half-share in the assets be recognized before the Rusal merger went ahead. So what did happen and what was said after Berezovsky had arrived? Berezovsky’s lawyer read out Abramovich’s earlier testimony in court that there had been a discussion of the Rusal merger, but nothing about Berezovsky’s debt to Deripaska. “I do not recall that,” Deripaska answered. According to Deripaska, he didn’t have enough money to meet Abramovich’s asking price in one go. So he needed more time, he said. Rabinowitz: “why did you not, in respect of the 25 per cent of shares that you were not buying at that time, take an unrestricted option to acquire those other shares at a fixed price at a time when you could afford to pay for those shares? Note to illustration: the origin of the family name Deripaska is in Odessa, which was captured and rebuilt by the Spanish soldier, Jose Pascual Domingo de Ribas, after directing part of the Russian army and navy during the wars against the Turks in the late 18th century. De Ribas supervised the reconstruction of Khadzhibei, renaming the city Odessa, and rearming it. 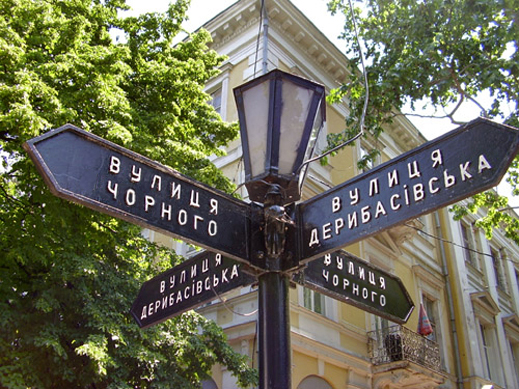 He is memorialized himself in one of the city’s boulevards, Deribasovskaya.